Do you trust the 8 Ball? The 8 Ball always knows. 2 Do you trust the 8 Ball? The 8 Ball always knows. 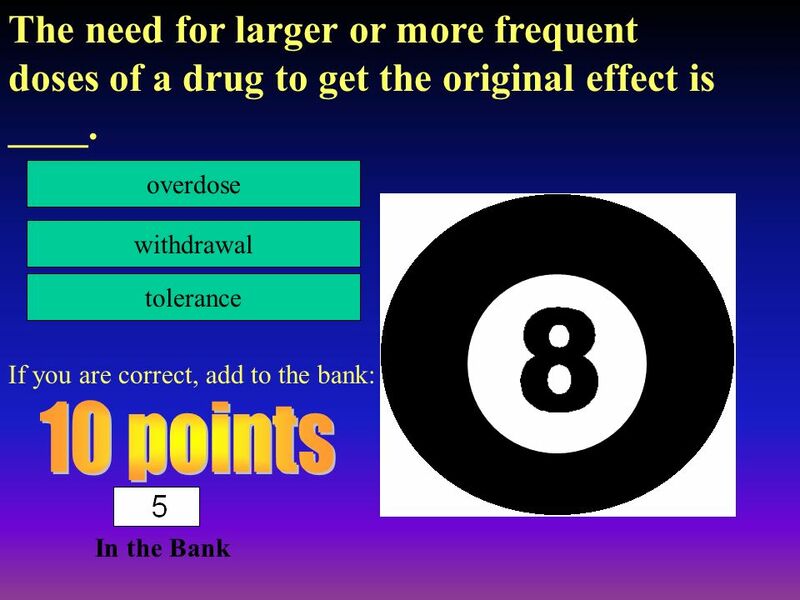 22 In the Bank 19 withdrawal overdose tolerance If you are correct, add to the bank: The need for larger or more frequent doses of a drug to get the original effect is ____. 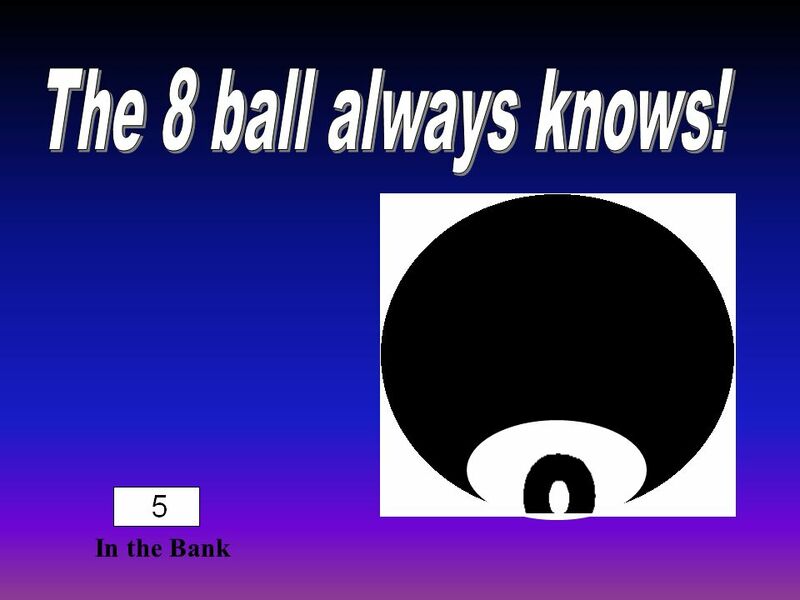 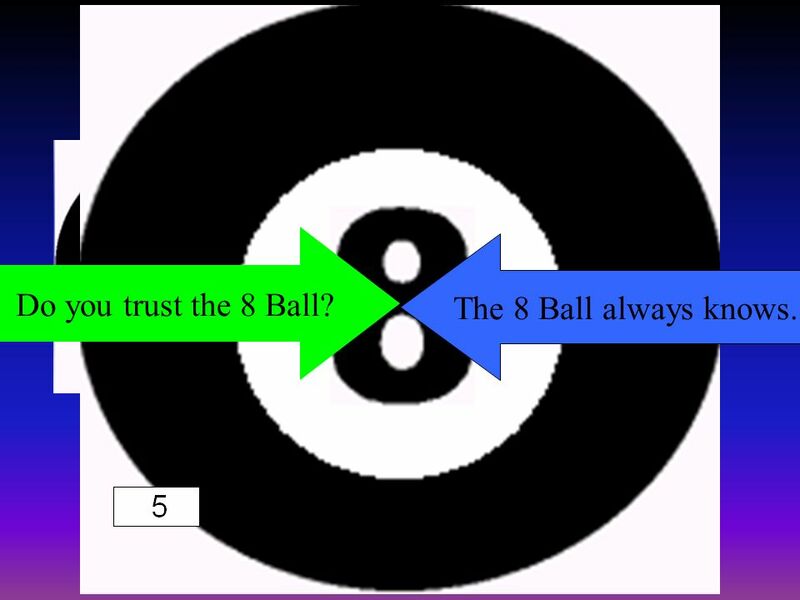 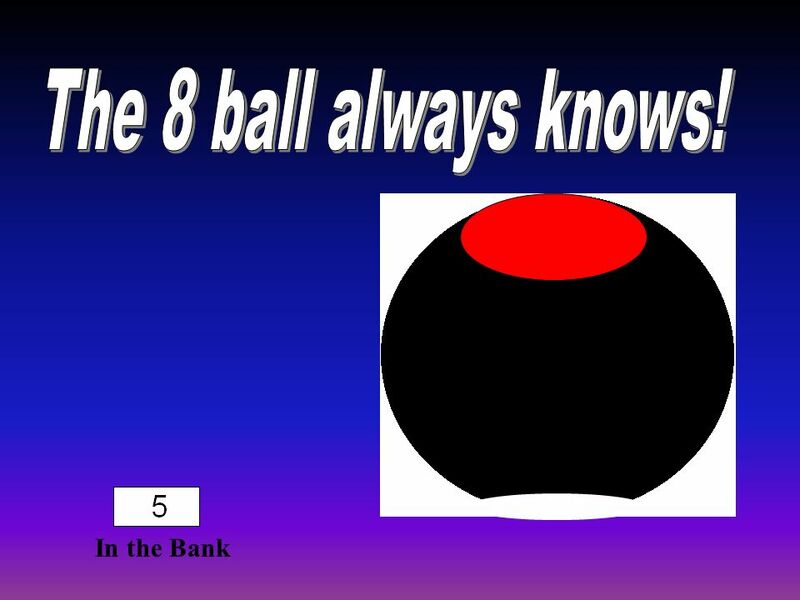 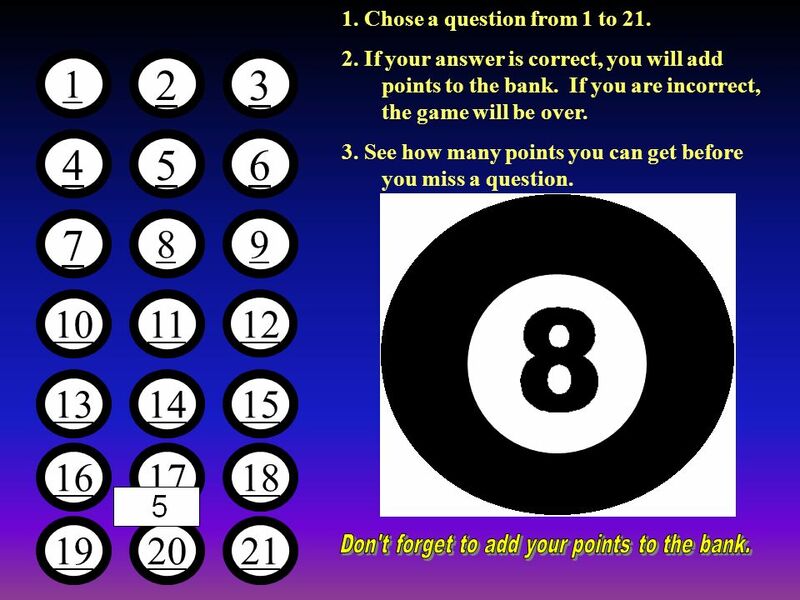 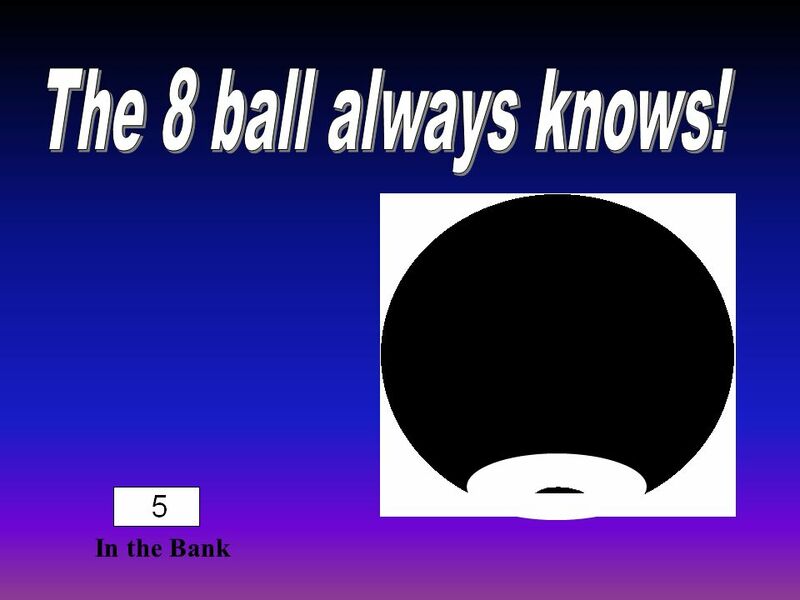 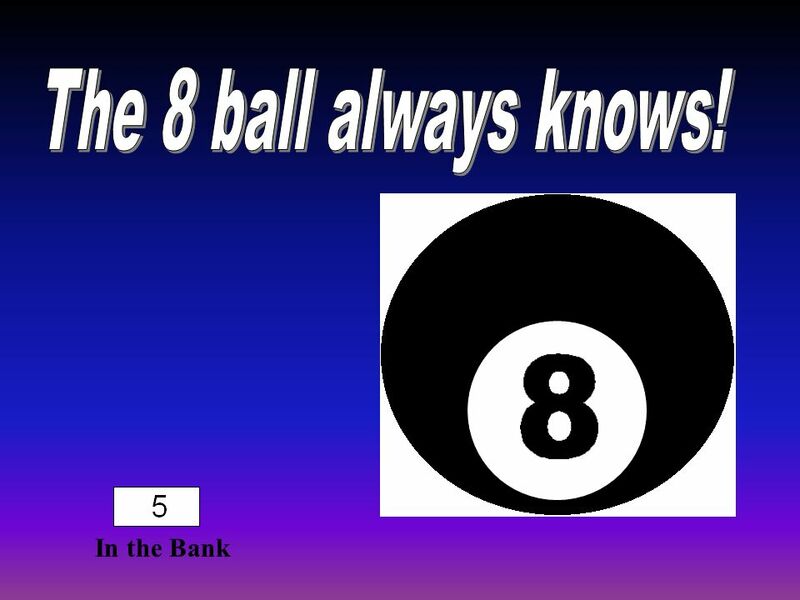 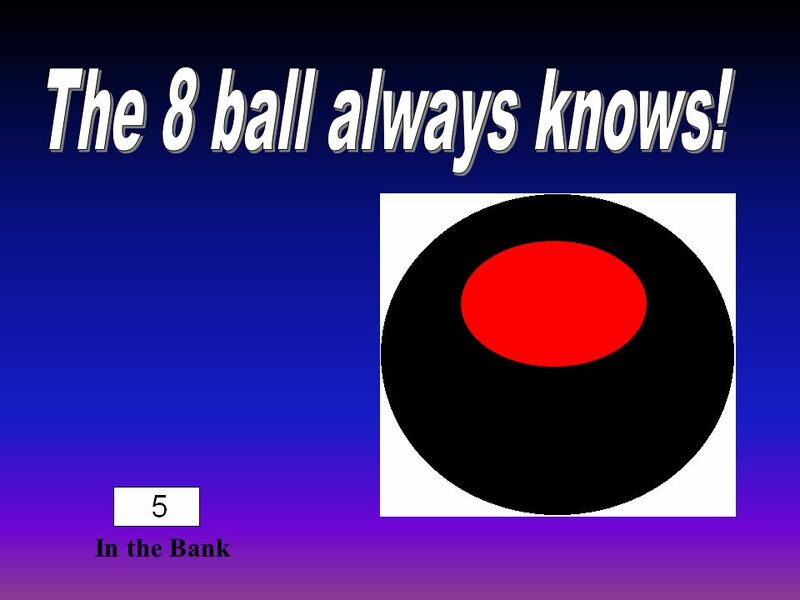 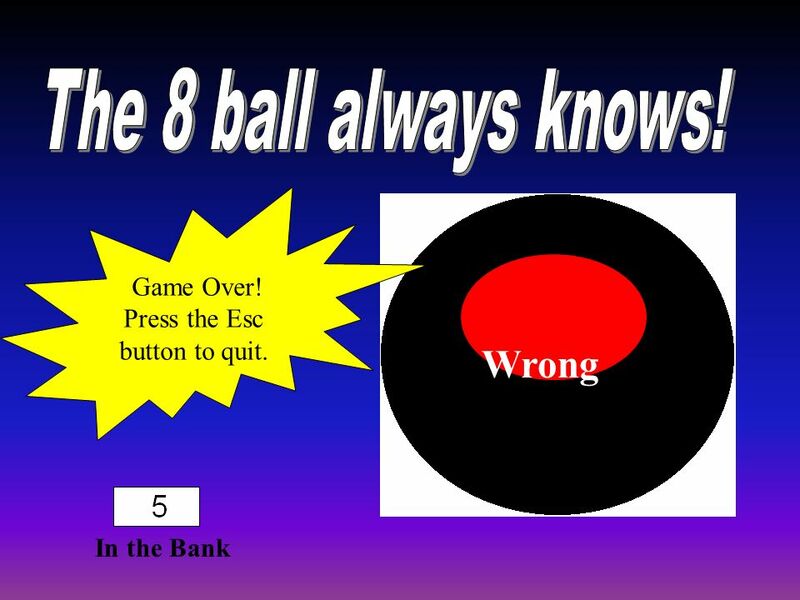 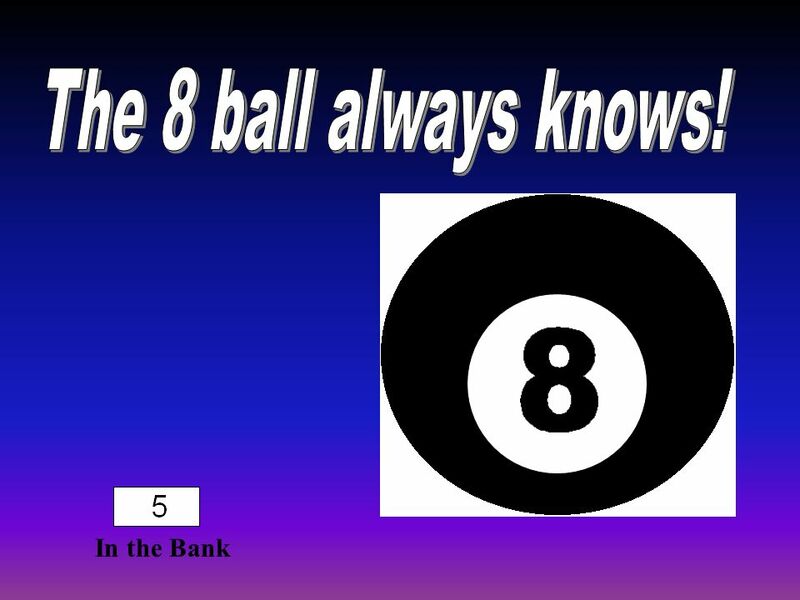 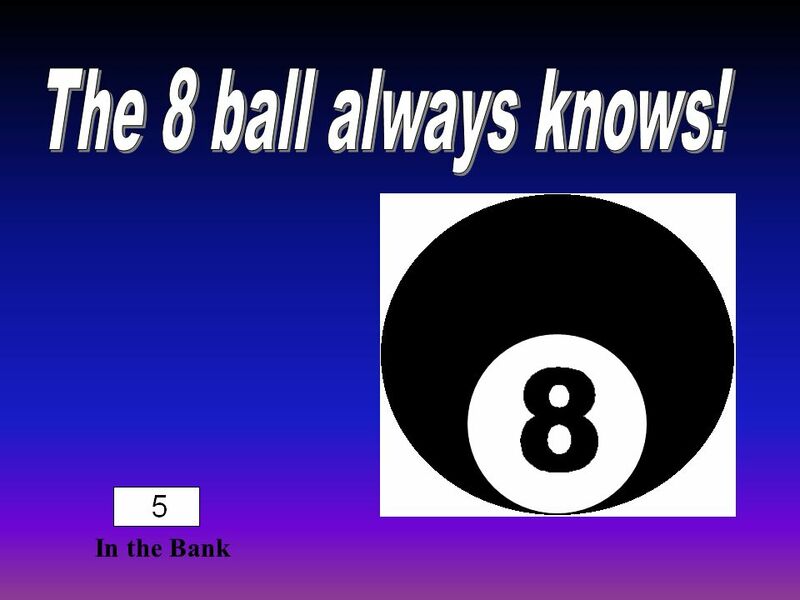 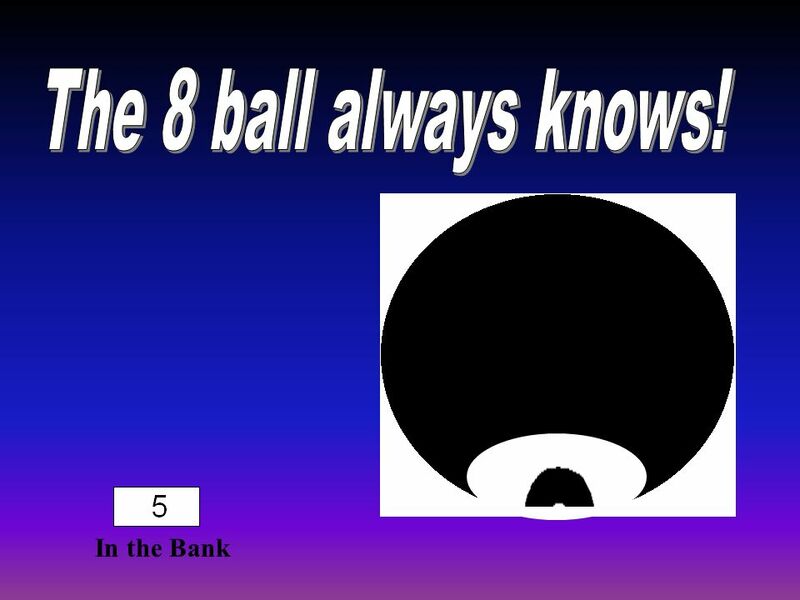 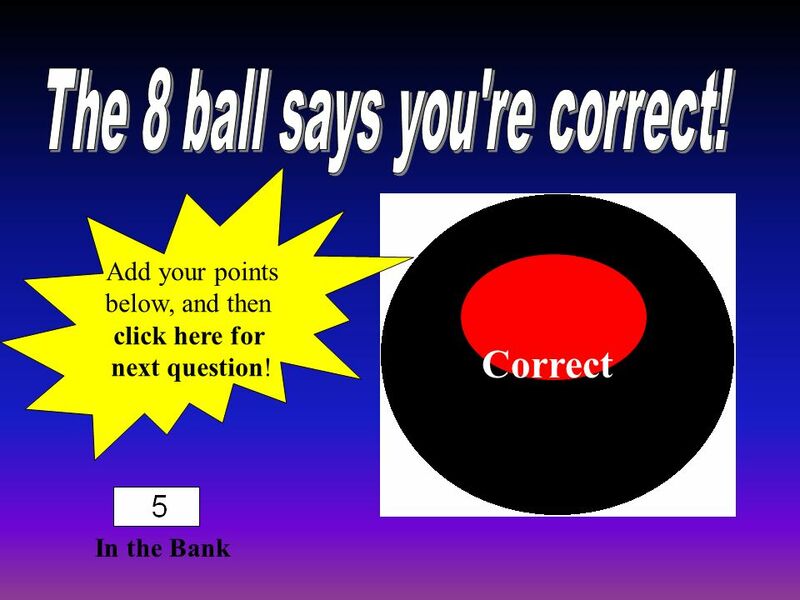 Download ppt "Do you trust the 8 Ball? The 8 Ball always knows."